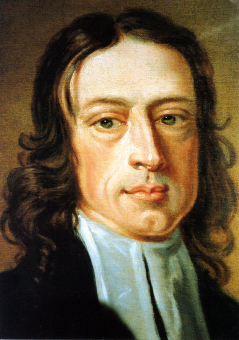 When I first started to read John Wesley’s works, one of the things that I found most helpful was his attention to the spiritual condition of individuals. He writes much like a physician describing various forms of disease and illness, and often times even makes that comparison himself. To be a caretaker of souls, he writes, you must understand the causes of symptoms before you can administer the proper medicines. In the sermon quoted above, Wesley discerns three spiritual states, each with its own characteristics and needs. The sleeper or “natural man” is one who is either not aware of the things of God or imagines themselves to be in good stead with God when they are not. The first group we might call non-believers. The second group includes both those who worship a god other than the Trinity or who worship in the Christian manner but mistakenly think that mere outward worship and adherence to formal practices such as attending church semi-regularly and praying from time-to-time mean they are on good terms with God. Such folks are at peace but it is the false peace we read warnings about in the prophets. Like the kings of the Old Testament, they can find no shortage of people to tell them that they have the approval of God, but such comfort and peace is difficult or impossible to square with careful attention to the Bible. The sleepers are many. The awakened are few. These are persons who have come honestly face-to-face with their sin. They see and therefore grieve the fact that they are out of line with God, damned justly, and unable by their own power to do anything about it. This is why, as Wesley says, they have no peace at all. The awakened are tormented and troubled. They know they deserve to suffer. Like the prodigal son, their unworthiness is the only plea on their lips. As terrible as this state is, it is a huge spiritual achievement. Nothing is more difficult in the work of ministry — I have found — than helping sleepers shake off their slumber. Nothing is more emotionally and spiritual draining than walking through the daylight with an awakened sleeper who sees God and — like the disciples and prophets before them — is struck with terror. An awakened sinner who cries out to Jesus and who does not relent until they have found him is the one who truly believes. They have a belief grounded on a deep assurance that Jesus Christ has forgiven them and that they are beloved not because they are worthy but because God is great. And the fruit of this faith — which is a gift given to us by God — is peace, true peace. The believer requires continual encouragement and support as they grow in Christian maturity — we Methodists call this “going on to perfection.” And they need the watchful love of fellow Christians to help them along the way and help them avoid slipping backward or away from their faith. The grace of God will bring to full flower what he has started within them, if the believer continues to be a co-worker with God in their own spiritual growth. Such is the landscape of the spirit that Wesley saw as he did his work long ago in England. The map he left us remains useful to those of us working in different fields. I find that pastoral work requires a great deal of attention to such things because there is so much temptation to let sleepers rest in comfort and so much difficulty in helping people through this process to a place of real peace. The work is hard and the rewards are few. It should never be forgotten that Wesley was tossed out of many churches for disturbing the slumber of those who were used to lullabys rather than gospel preaching. As tempted as I am to let sleepers lie, I am regularly in my pastoral work brought face-to-face with those who have been permitted to sleep and have found the bedtime faith that they have spent a lifetime in provides no comfort or peace in the day of trouble. They come to the edge of their mortality and they try to lean on their faith and discover it has nothing to give them but empty words. I am not very skilled at helping people navigate this spiritual terrain. I am trying to do it better as I go. But I am grateful to those who have left me guidance, Wesley and others, so I might help the souls in my care find what God has promised. Posted on March 13, 2019 March 14, 2019 by John MeunierPosted in Christian life, Methodism, SpiritualityTagged john wesley, Methodism, pastoral theology, Salvation. But in these addled and fissiparous times, what Scripture calls sin is being proclaimed the new holiness.